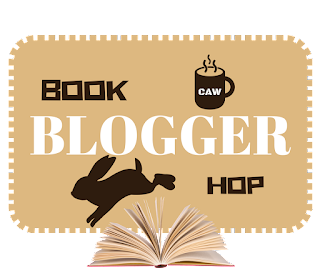 The Book Blogger Hop was originally created by Jennifer from Crazy-For-Books in March 2010 and ended on December 31, 2012. With Jennifer's permission, I relaunched the meme on February 15, 2013. Check out the hop here! Each week the hop will start on a Friday and end on Thursday. There will be a weekly prompt featuring a book related question. The hop's purpose is to give bloggers a chance to follow other blogs, learn about new books, befriend other bloggers, and receive new followers to your own blog. Worst movies based off books? Uh, Beautiful Creatures. The book series is pretty great, but the movie wasn't so great! But I can't really think of any others right now. What about you guys? Happy reading! I haven't seen Beautiful Creatures, but I tried to read the book and found that I couldn't really get into it. That was YEARS ago, though, so maybe I ought to give it another shot. I included the adaptation of 'The Mortal Instruments: City Of Bones' in my own answer. Whilst I don't think it's a bad film on it's own, it's not a good representation of the book series and it was really unfortunate that they botched the film on the basis of changing it for more Hollywood profit. Feel free to check out my own answer if you wish! Yeah, I can understand, the books aren't for everyone, but the movie flopped. But now the lead guy is the lead in the Solo movie. So there's that! And yeah, agreed with City of Bones! Thanks for stopping by! Happy reading! We Have the Cover of His Fair Assassin #4!!!! We Have the Cover of Unearthed #2!!!! We Have the Cover of Charley Davidson #13!!!! We Have the Cover of Endeavor #1!!! !